Zlatan Ibrahimovic is set to miss Manchester United’s Europa League clash against Zorya Luhansk, after being granted permission by manager Jose Mourinho to go on a holiday. Ibrahimovic was spotted in Italy on Monday, having dinner at Finger’s Garden restaurant with former AC Milan teammate Clarence Seedorf, who co-owns the restaurant. The Swedish striker has been given freedom by the club to make his stay in Manchester as comfortable as possible, in an attempt to get the best out of him on the pitch. Mourinho has allowed the 34-year-old to hire his own personal chef, and had given him an extra four days off before United’s 1-0 Europa League defeat to Feyenoord two weeks ago. Ibrahimovic still managed to play the game, coming on as a second half substitute, and was on the pitch when Feyenoord scored the winner. However, it is unlikely that the striker will play any part in the game against Zorya Luhansk at Old Trafford on Thursday. In his place, Mourinho confirmed that Wayne Rooney would be restored to the line-up, and is likely to start as United’s main striker. Rooney was dropped from United’s squad for the game against Leicester City – which coincidentally proved to be the team’s best performance of the season, as they ran away with a 4-1 win at Old Trafford, with all 4 goals coming in the first half. The Englishman – who is only 3 goals away from becoming the club’s all time record goalscorer – has come in for heavy criticism in recent weeks for his poor form. Reports suggest that the striker is likely to start on Thursday, but will drop back to the bench for the game against Stoke City on Sunday. 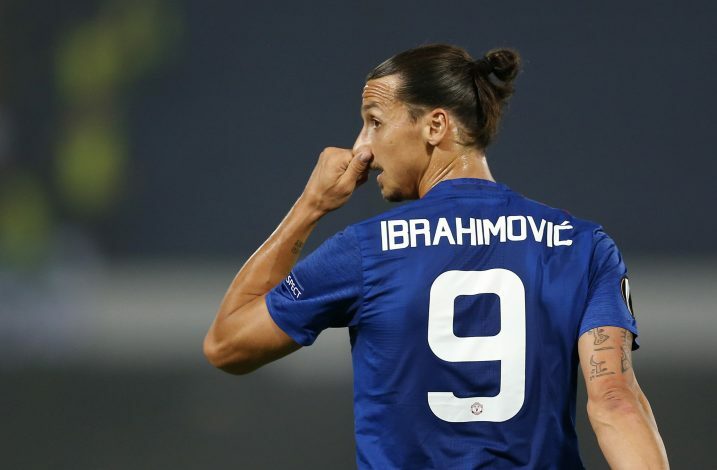 “When our main striker is Zlatan, we need fast people surrounding him,” said Mourinho, who had lost his two previous Premier League games before the win over the reigning English Champions. “If he (Rooney) is on the pitch or at home, he is my captain. But we thought against a team like Leicester, the best solution for us was to play with the two fast kids and Mata in a position where he can interact with them. It did well for us.